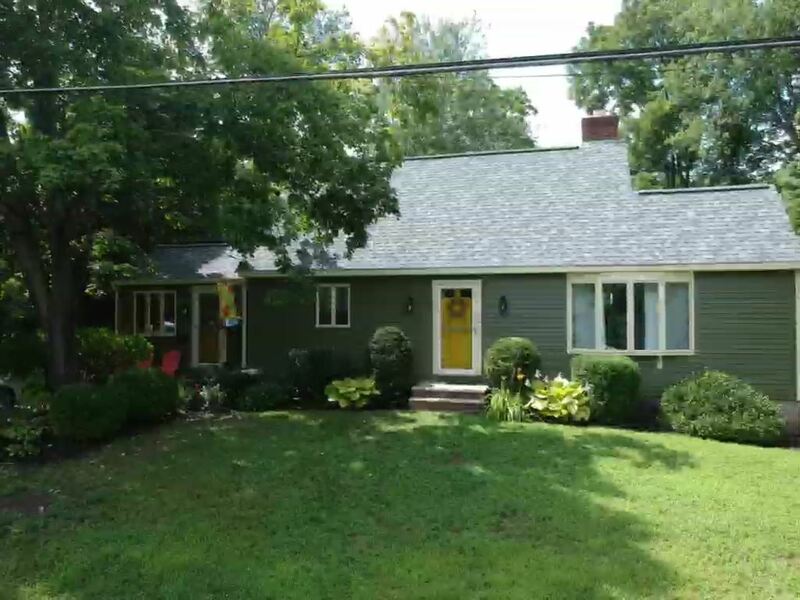 Completely charming dormered cape in a quiet neighborhood; convenient to everything. It checks all the boxes for:hardwood floors, cathedral ceilings, exposed beams, ceiling fans, skylights, dining room, TWO full baths, TWO wood burning fireplaces, finished room in basement, in-ground pool, fully fenced yard, deck, shed, AND gazebo. Roof is 2 years old, floors refinished, siding replaced and fence installed last year and a new 500 foot western cedar deck. PHEW! So much for your money!